The nation where the most violent and sexual attacks on Christians take place – Muslim-majority Pakistan — rose to the number four spot on the list of the worst countries for Christians. Nigeria: A Christian mother and her three children — aged four, five and nine — were “hacked to death by unknown assailants within a church premises” in Muslim-majority Lagos State. The incident occurred around 3 a.m., “when the woman and her children had gone to the ‘Holy Land’ part of a Cherubim and Seraphim church. Their bodies were seen “in a pool of blood by some worshipers,” who arrived at the church later in the morning. The three children died inside the church. Their mother died an hour after making it to the hospital. Police said they were still seeking a motive. Philippines: A 70 year-old Irish nun living on the island of Mindanao — notorious for its separatist, extremist Muslim population — was attacked by a masked assailant who beat her so badly that she required surgery. Sister Kathleen Melia, who has spent more than 30 years serving the Philippines, was locking up her convent on March 1, when a masked man covered her mouth with his hand, and began to punch her. Another convert to Christianity, imprisoned since 2013 for working in a house church and orphanage, has been denied urgent health care a heart defect, “drastic” weight loss, weakness and depression. Malaysia: A pastor accused of attempting to convert Muslims to Christianity — a crime in Malaysia — was abducted in what was seen on closed-circuit TV to be a professional job, and is feared dead, due to no ransom having been demanded, and despite the family’s offer of reward money to anyone with information on the case. Central African Republic: Muslim converts to Christianity were attacked by a Muslim mob while worshiping at a Central Africa church. 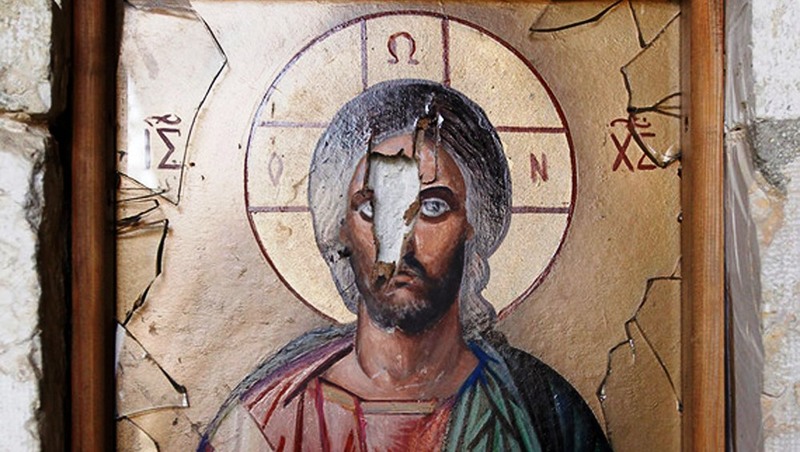 Brandishing swords and iron bars, the mob shouted “Allahu Akbar” [“Allah is the greatest”], while destroying the church and ripping off its roof. They then stabbed the pastor and beat up members of the congregation. This was one of at least three Muslim attacks on churches in the Central African Republic between January and March of 2017. Indonesia: The government shut down three churches, two Protestant and one Catholic, on the grounds that it “cannot guarantee their safety” after intimidation by a radical Muslim group. “We are struggling for our right to worship,” a church leader lamented. Possibly emboldened by the government’s action, hundreds of Muslims demonstrated in front of the Santa Clara Church in Bekasi, and called on the mayor to revoke the church’s permits. After the mayor said he would not do so, “even if I am shot,” protesters hurled rocks and bottles at the police, and tried to force their way into the church. Police used tear gas to disperse the mob. This violence is part of a reportedly growing trend of intolerance, particularly against Christians, in Indonesia. A Pakistani government want-ad for street sweepers states that applicants must be Hindu, Christian or Shia — anyone but the dominant Sunni Muslim population – illustrates the way in which minorities are prevented from earning a living wage. When minority groups protested, officials responded by saying the word “Shia” was added by mistake, as they are still considered Muslims.